The weather is finally feeling like fall: long afternoon shadows and crisp foggy mornings. It’s soup weather, for sure. This one is a favorite because it’s vegan (Daniel fast appropriate), inexpensive, and really just delicious. 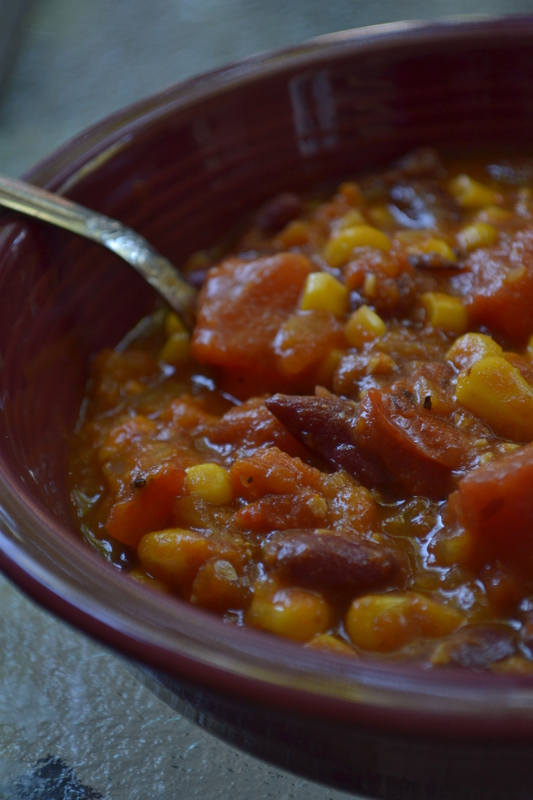 What would be a run-of-the-mill chili is enhanced with pumpkin and smoked paprika for autumnal goodness. In large pot, saute onion and garlic in olive oil until onions are tender. Add pumpkin, broth, and tomatoes. Stir in remaining ingredients and simmer for 30 minutes. Tags: autumn, Daniel Fast, gluten free, recipe, soup, vegan, vegetarian. Bookmark the permalink.